70000000000 is a huge number, a seven followed by ten sifars. And when it gets translated into money by prefixing a 'Rs.' tag to it, it becomes even bigger. When i switched on my television set this morning, I was welcomed with a piece of breaking news- "Satyam chairman Raju resigns". It was expected sooner or later, so there was nothing breaking about it. So, i just changed the channel and started surfing through. What I missed then was that this resignation did not come in the wake of Maytas acquisition controversy but a bigger and more sinister controversy that had been brewing all this time. So when i again visited the news channel after having waded through the movies, animation, music channels et al, I came to know about the real news. B. Ramalinga Raju, the charismatic founder and Chairman of Satyam Computer Services Ltd, in a letter to the (still remaining) Board of Directors of his company, "with deep regret and tremendous burden that I am carrying on my conscience", admitted to a fraud to the tune of Rs 7,000 crore. Fortunes of the India's fourth largest IT company started to take a U-turn when last month, following the strong resistance by its investors, the company had to backtrack on its decision to acquire two infrastructure firms Maytas Properties and Maytas Infrastructure promoted by the founder's family. Following this, a number of independent directors stepped down owning moral responsibility for not opposing the failed acquisition. This news was followed by another revelation within a weeks time that the company has been barred from all business at the World Bank for eight years. The reason provided was that Satyam had been found providing 'improper benefits' or in simple terms, bribing the bank staff to acquire contracts. There have also been allegations against Satyam of causing security breaches at the bank. As if all this was not enough to bring disrepute to this reputable Indian firm, now comes the biggest news of all. Mr. Raju has admitted that he had falsified the accounts and assets of his company and inflated its profits, hence taking the shareholders on a ride. However, Mr. Raju was also on a dangerous ride himself as he puts it in his letter to the BoD. He writes, "It was like riding a tiger, not knowing how to get off without being eaten." This is undoubtedly, one of the most controversial cases of corporate governance gone haywire in the recent history of Corporate India. We have had Harshad Mehtas and Ketan Parekhs but this is a case apart as here at the centre of the big fraud is not just any stock broker but the founder and chairman of one of India's pioneering company. In all the economic mess we have been seeing of late, as skeletons kept tumbling out of the Corporate West's cupboard , we in India atleast felt proud of our corporate sector for not having indulged in any wrongdoing. But now the myth has been broken. 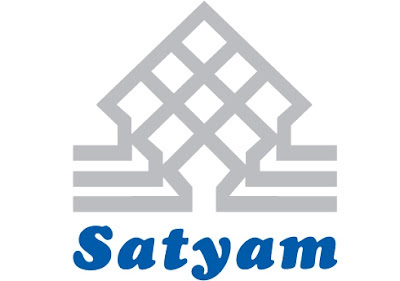 Mr. Raju further reveals that Satyam had planned to complete the Maytas acquisition deal "as the last attempt to fill fictitious assets with real ones." Hence, the Maytas fraud was just a last ditched attempt to keep a much bigger fraud from being exposed. Chester Barnard, the first to carry out a comprehensive analysis of the decision making process had clearly classified the decisions into the organizational ones and the private ones. However, when a corporate executive tends to merge the two, problems are bound to arise. One wonders how many more such frauds, the companies in India must be committing to keep their bigger frauds under the veil. I am not a shareholder of any company and don't even plan to be in near future, but still i feel cheated by this revelation. I feel cheated as i do when I hear about M.P. 's taking bribe for casting their votes in the parliament. I feel cheated as i do when I hear about a public bridge collapsing due to substandard cement used by the contractor. I feel cheated as i do when I hear about a policeman beating an innocent to death for not admitting a false accusation. I feel cheated as i do when I hear about a government in charge inciting communal violence to earn votes in upcoming elections. Most of us have a tendency to ask for transparency and accountability in the government affairs, hence seeking what is better know as good governance. However, it is the time we realise that good corporate governance is as important as good governance. Corporate Governance includes the policies and procedures adopted by a company in achieving its objectives in relation to its shareholders, customers and suppliers, regulatory authorities and the community at large. The provisions like the induction of specified number of independent directors in a listed company has been made to realise good corporate governance. However, the Maytas acquisition controversy makes it clear, that much more needs to be done to fill any gaps left. Moreover, today's revelation asks for stringent regulatory as well as auditory provisions for private enterprises of all hues and colours. Stricter legal provisions and punishments for the defaulters will also act as a deterrent. Although Mr. Raju claims in his letter that he made no monetary gains out of this fraud, which itself is a hard fact to digest, this does not diminish the gravity of his misdemeanor. Moreover, he will have to face legal action not only in India but also U.S. as his company is listed there too. Mr. Raju ends his letter claiming, "I am now prepared to subject myself to the laws of the land and face the consequences thereof." Government of India should act swiftly to make a strong case against Mr. Raju to send out a tough message to others in the same league and safeguard the global reputation of Corporate India. As the trading day came to an end, the shares of Satyam Computers had plunged by nearly 80% post-fraud revelation. At the time when the investor confidence is already very low, such incidences can make the job even more difficult for the government and the corporate sector as a whole. One hopes there aren't any more skeletons waiting to tumble out of the Corporate India's cupboard.